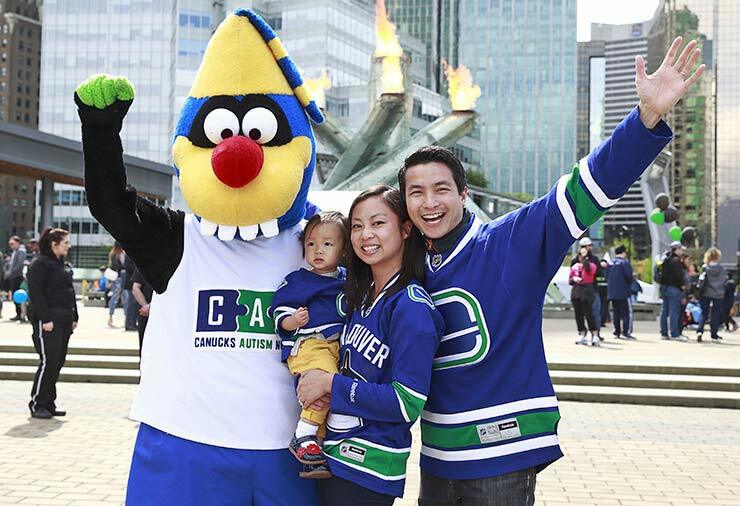 By joining the CAN Fan Club, you are making an ongoing commitment to individuals and families living with autism in British Columbia. Monthly gifts provide us with a sustainable source of funding so that we can continue to provide year-round sports and recreation programs for a growing number of children, teens and young adults living with autism. You can make your charitable gift online by choosing Recurring gift under Additional Information and entering your credit card details. You can also make your monthly gift through your bank account. Simply send us a void cheque made out to Canucks Autism Network (1788 West 8th Avenue, Vancouver, BC, V6J 1V6) along with this printed and completed Monthly Giving Club Submission Form. Alternatively, you may complete the enrollment form below.